All Things Katy! : First Day of First Grade! 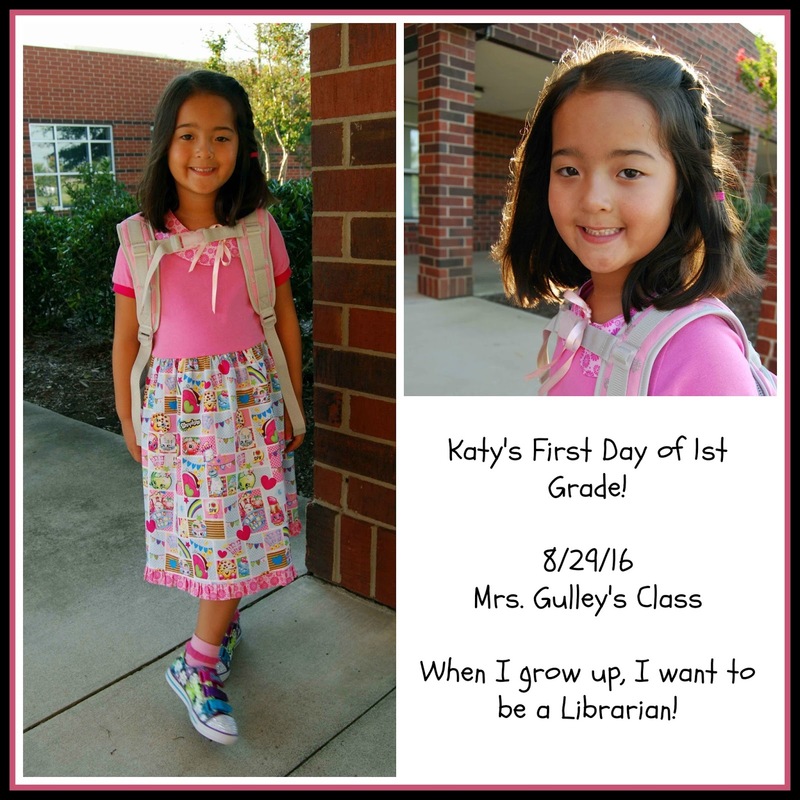 Today is Katy's first day of First Grade! She is excited and ready for a new year! She got to meet her new teacher, Mrs. Gulley, last week at "Meet the Teacher." As it turns out, Mrs. Gulley and Mrs. Mitchell (Katy's Kindy teacher) are besties- yay! I can't wait to see what this year brings! !